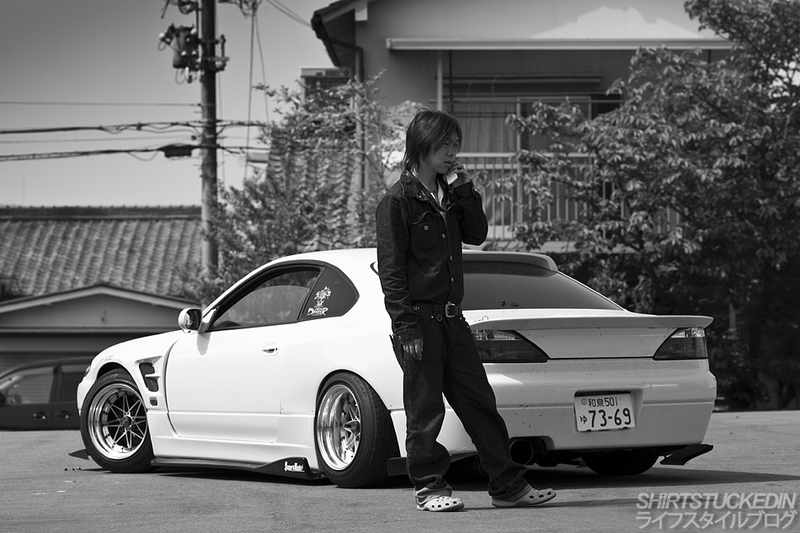 Prior to visiting Japan the amount of time I spent on the internet every day browsing through media on cars that I admired was ridiculous. 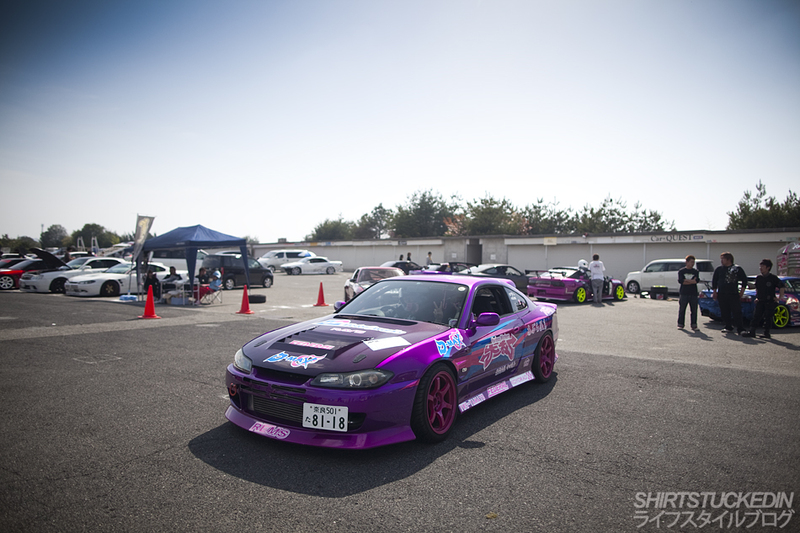 I never thought the day would come where I would even get a singular photo of the cars I love that much but little did I know I was in for a shock when I landed on Japanese soil. This is why I love Japan so much, the two times I have been nothing but unbelievable experiences have come to the surface. Here I was at Meihan Sports Land on a gorgeous Spring afternoon all alone with this. After a huge day shooting around 30gb’s of photos from the Wreck `Em day at Meihan Sports Land I thought it would be a good opportunity to speak up and ask a few drivers if I could do some individual photos on the circuit as the sun was setting. 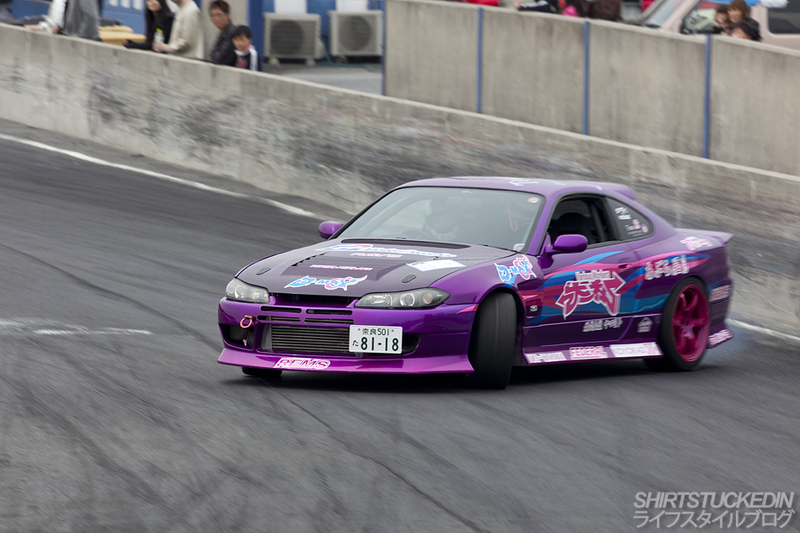 The two drivers I spoke to were Jesse Streeter and Takanori Yoshida from Supermade via Shane Bingham. 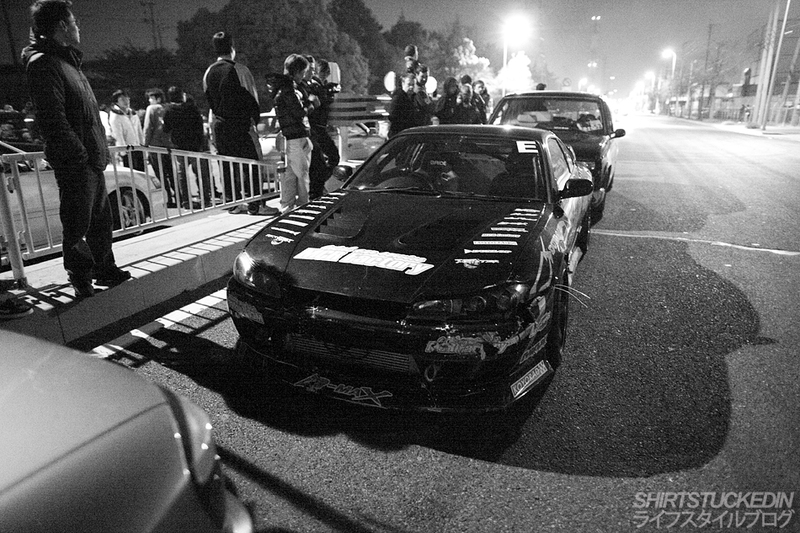 As you may know I featured Jesse’s PS13 which was on Speedhunters a little while ago. 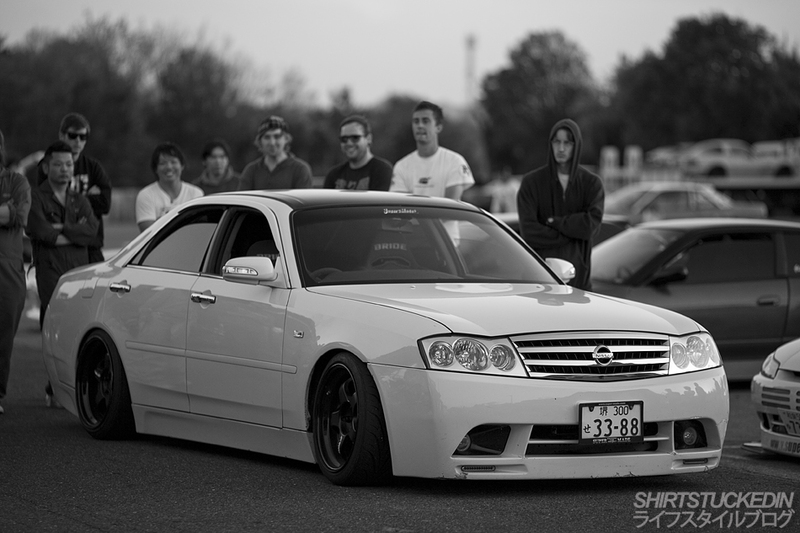 What you don’t know is that I also got some time one on one with the SR20DET powered Nissan Gloria. 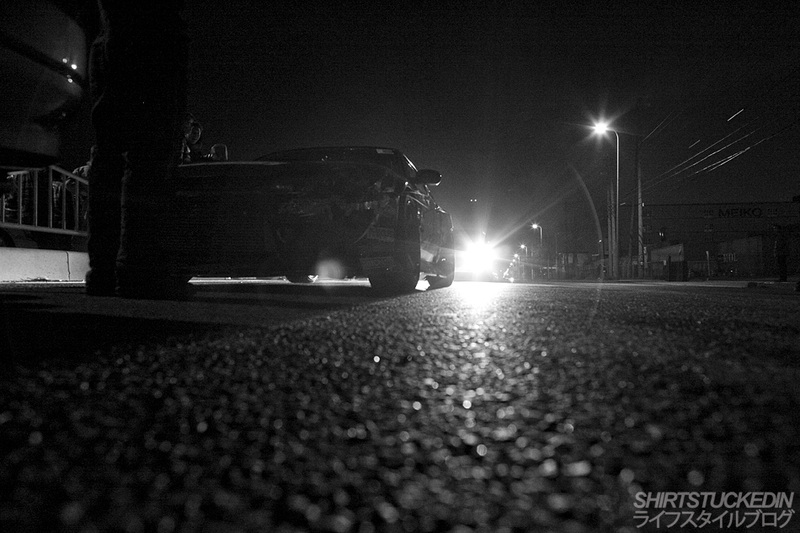 To be completely honest I had no longer than 10-15 minutes to shoot both cars as well as I could. Firstly, I shot Jesse’s followed by this lovely 4 door and what a setting it was. Takanori Yoshida – the owner of Supermade dropped into Meihan Sports Land just after lunch to do 2 laps to prove what the Gloria was capable of. Sitting in the pits it might look like a big VIP 4 door sedan but this thing really churns the rear tires with no problems at all. Without knowing it was on the track I managed to run to the wall and snap this photo of him exiting the hairpin off the front straight which was definitely worthy of posting. I still have a lot more photos from this little shoot at sunset so stay tuned and keep and eye out for updates on our Facebook Page. Witnessing D1 cars driving on the street completed my life. I can’t wait to go back… seriously. 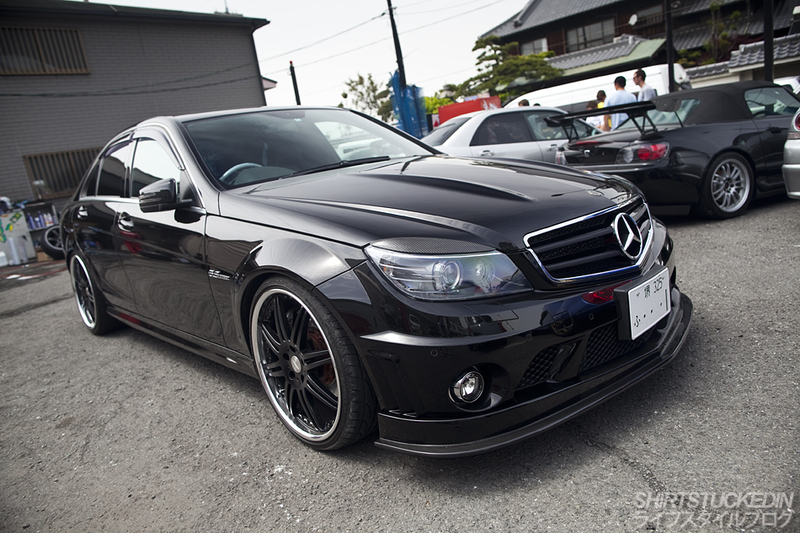 Sitting at Global Auto in Osaka was this glamorous Mercedes Benz C63 AMG sitting on a set of aftermarket wheels. It’s also sporting a few accessories such as the carbon fibre splitter and eye-lids. There is so much variety in Japan, I just love it. Black and white works… sometimes. Over the past few weeks I’ve been changing up my gear list. Let’s hope from here on in this will stay how it is! 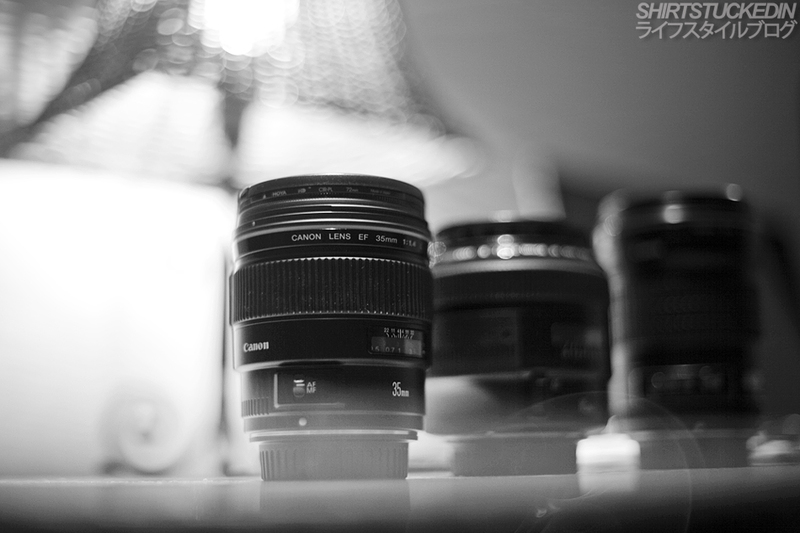 For those of you wondering what I use here is my gear list: 5D Mark II,EF 35mm f1.4L, EF 85mm f1.2L II, EF 135mm f2.0L, EF 400mm f2.8 ISL. The reason for the amount of posts over the past few days are to make up for my poor efforts on the weekends. As soon as Friday comes I’m pretty much out the door until Monday morning, so in the future I think I need to schedule posts to go live on Friday evenings through to Monday mornings, what do you think? I have to apologise as I know next to nothing about this car or the owner. Here are a few photos a few of you requested after seeing it in the background of other images, enjoy.